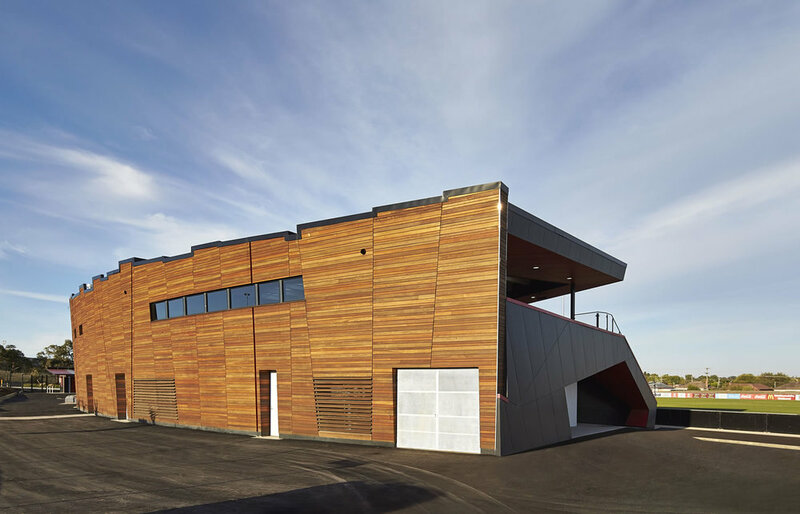 The Ballarat Regional Soccer and Community Facility was completed in 2015 and provides leading-edge sporting and social facilities for elite level soccer and A level games. It includes a two star FIFA rated turf playing pitch, synthetic training ground, grandstand with 500 seat capacity, conference and catering facility for 200 people, external viewing decks and players change rooms, media rooms, and sports administration facilities. In 2015 it was selected from a national pool of soccer sports facilities to host the Asian Cup. 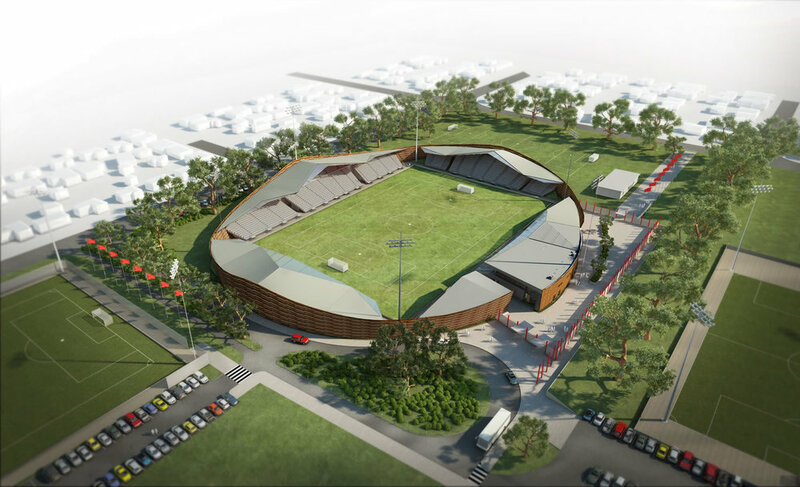 The facility is the first stage of a master plan for the transformation of the site into a stadium, and brings important social and economic benefits to the club and broader community. ESD initiatives include low energy light fittings, low VOC paint, durable finishes for lower maintenance and longevity, carpet with 40% recycled content and certified cradle to cradle 100% recyclable with an adhesive minimisation installation system, passive solar design features such as high level extended eaves to reduce heat load on the building, double glazing throughout and high levels of insulation, natural ventilation with thermal chimneys providing stack effect cooling, and mixed mode heating and cooling through the underfloor air-plenum. 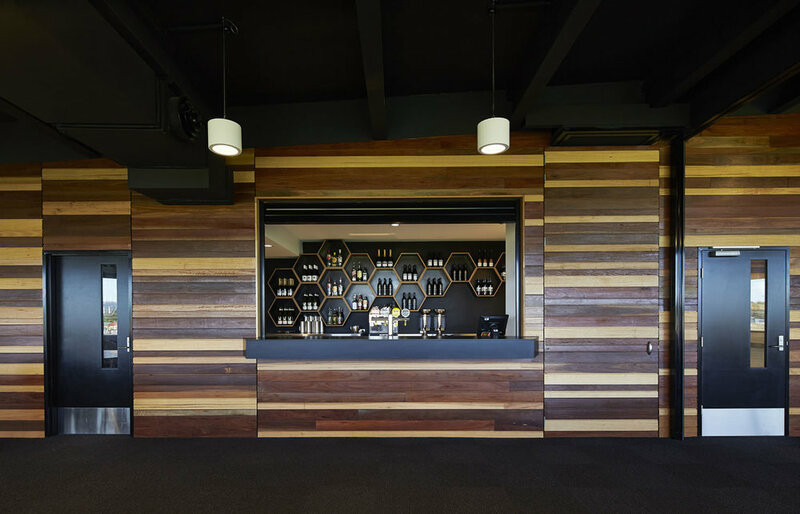 The use of recycled and local timber assists with carbon sequestration, reducing the carbon footprint of the project. Around 80% of materials and components were locally sourced and manufactured. 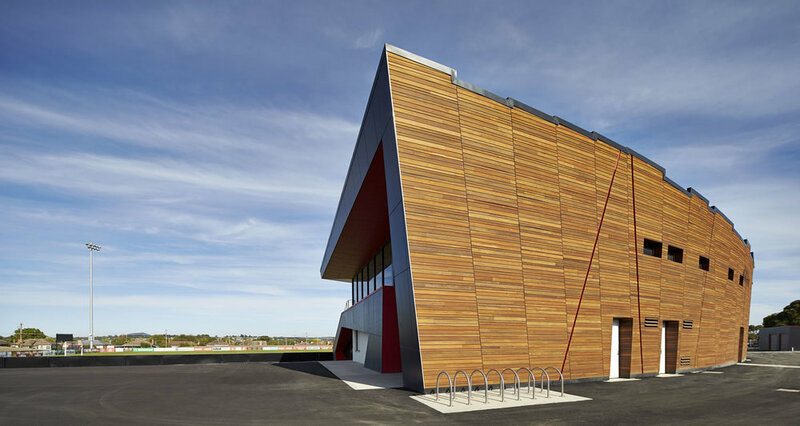 The grandstand was manufactured using off the shelf pre-built concrete construction planks, and seating is made of recycled plastic.